Confronted with different types of evidence, the practitioner must consider which is the most relevant for their patient. Medical evidence can come from various sources: clinical experience, theoretical training and mechanistic knowledge, population studies and systematic reviews of these, to mention some. Evidence-based policies acknowledge all of these as relevant for clinical decisions, although to various degree. Quantitative studies generally rank higher in the evidence hierarchy than theory and experience, and qualitative studies are often devaluated or disregarded. In clinical situations, however, the evidence from population studies cannot be directly applied to the individual patient. Even if we try to specify the relevant patient population, the most relevant subgroup is the N of 1; the patient. Many practitioners therefore emphasise the value and importance of patient stories and qualitative research, and we see a growing interest in multidisciplinary networks such as person centered healthcare and medical humanities. While evidence-based policies recommend that clinical decisions are guided by evidence from population studies, practitioners have argued that causal and contextual information about the individual patient ought to be given epistemic priority over quantitative information about a patient population. This can be supported philosophically, from a perspective of causal singularism and complexity. On this view, causal reasoning and inference should be bottom up: from the local and particular to the global and general, rather than vice versa. Still, in the interest of informing health policies and guidelines, a question remains of whether, how and to what extent we should expect qualitative and largely patient-specific evidence to be generalisable to other patients. 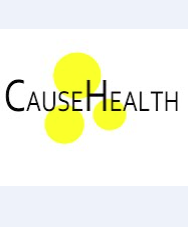 The workshop is organised by the project ‘CauseHealth: Causation, Complexity and Evidence in Health Sciences’, funded by the FRIPRO scheme of the Research Council of Norway, and the project ‘The Trinity of Policy-Making: Evidence, Causation and Argumentation’, funded by the Finnish Cultural Foundation.